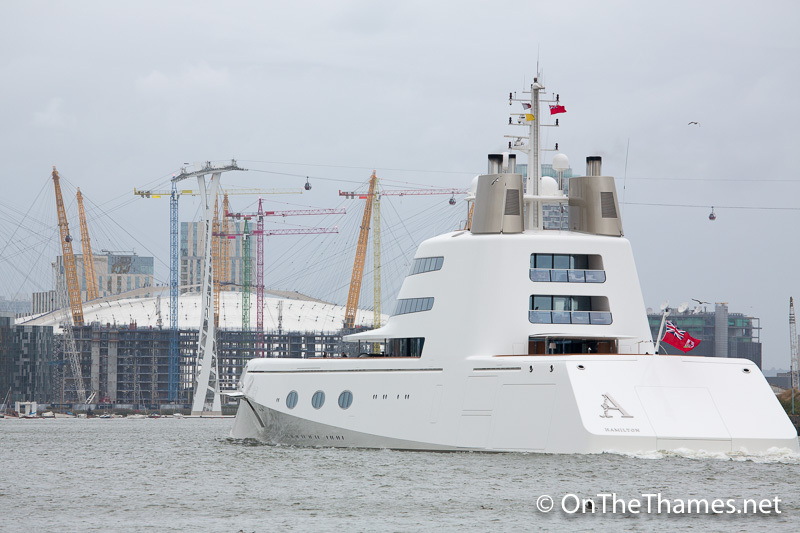 AN EXTRAORDINARY $300 million superyacht sailed up the River Thames on Saturday to moor alongside HMS Belfast. 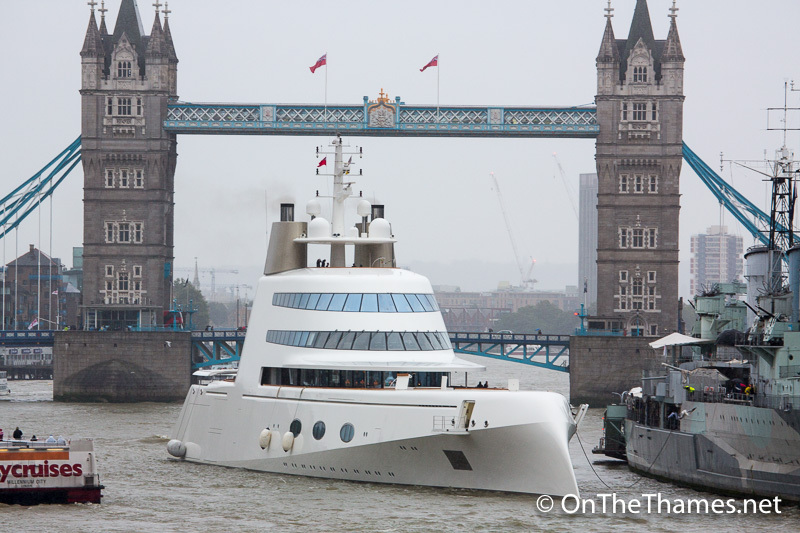 The distinctive vessel, named simply as motor yacht "A", was designed by legendary Philippe Starck and is one of the most expensive privately owned yachts ever seen in London on the Thames. Built at the Blohm + Voss shipyard in 2008, the striking yacht divides opinion thanks to its unique design with what is described as an upside down hull. 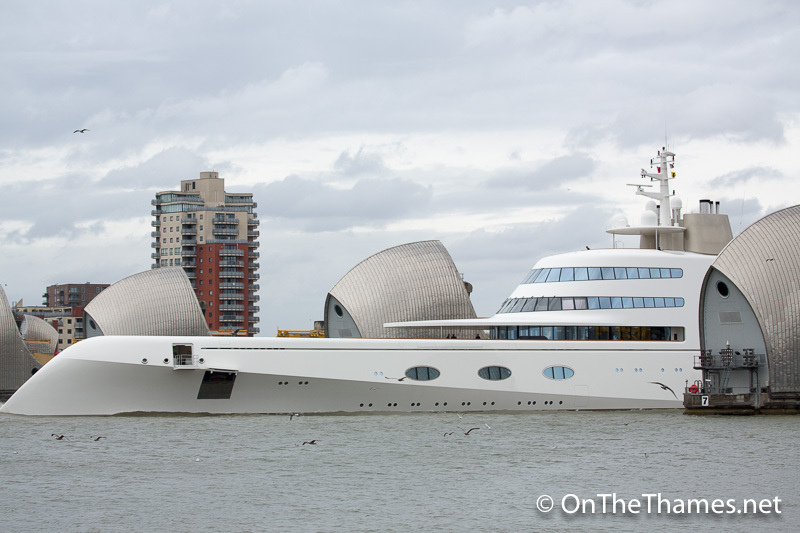 The 119 metre long vessel has three on board swimming pools and can accommodation 14 guests and 42 crew. 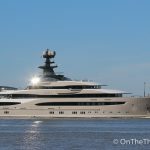 M/Y A was built for the Russian billionaire Andrey Melnichenko and was reported to have been on the market earlier this year as the industrialist has launched an even more expensive vessel called sailing yacht A. "A" cruised up the Thames on a windy and rainy Saturday afternoon, transiting through the Thames Barrier just after 4pm and passing under Tower Bridge at 5pm. I had to stop and take a second look as I was going over London bridge. What a beautiful vessel. One would think that “she “would be very top heavy. Probably a keel of solid lead. sHe is still a lovely boat. Agree wholeheartedly one abulous looking yacht. Seen it in the Med a few years ago and a picture of it adorns my office wall. He now owns a new high tech sailing yacht White Pearl even longer at 162m ! The hull loook s great but come on please. We were having lunch on Saturday 17th September in Al Fresco after going up the i360 and she was moored off Brighton Pier. Great view of her at that height. 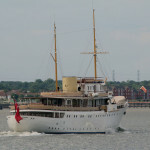 Found out her name via Marine Traffic website useful bit of kit!